The 4 key reasons why your home needs central heating. Warmer homes lend themselves to open plan living which means more interaction within families. Being warm leads to increased emotional wellbeing. We are more pleasant to be around, happier and generally less dispirited. A warm house is not a luxury, it is a healthy necessity, transforming the way you live. With so many systems to choose from it can be tricky trying to figure out which option suits you best. There are a lot of factors that will determine which is the best option for you, but the best advice we can give is make sure you know what you are doing before you start building. There are many ways to heat a house and they pretty much always sit in what we call the Sods law of Heating which is; the cheaper a system is to install, the more expensive it is to run. We not only know the ins and outs of how to install an efficient heating system, we also know the pros and cons of each one. 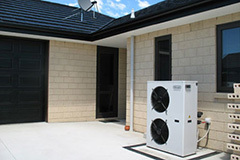 Meaning you'll be sure to get the best heating system for your home, lifestyle and budget. Our team are experts at both retrofits and new installs. Marlborough Plumbing and Heating is proud to be one of the founding member of The New Zealand Institute of Central Heating. The NZICH is a community of industry leaders providing technical information and experience. Facilitating best practice through training to raise the standard of Central heating in New Zealand. NZICH represents those responsible for the design, installation, commissioning and maintenance of central heating systems. For more information visit the New Zealand Institute of Central Heating website. We've explained a little of the basics of the most common heating systems below. 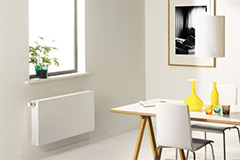 Warm-water radiator central heating is a fast and effective way to heat your home quickly. These systems allow you to individually control the temperature of each room in your home. Radiators heat from a lower level, meaning that the objects around them feel the warmth sooner, as opposed to convection heaters that heat the air, which immediately rises to the ceiling, then layers down until the heat reaches your level. In addition, a natural convection effect occurs with heating radiators. This means that you’ll not only enjoy the benefits of radiant heat, but you’ll also get a double shot of heat from naturally occurring convection heat. If you are looking for the ultimate in home comfort, a warm-water in-floor central heating system is the best heating option for you. These systems consistently deliver heat throughout your whole home and warm you from the feet up. 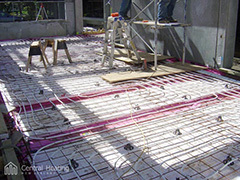 Radiant heat warms objects directly without heating the surrounding air, thus avoiding the dry air associated with other types of central heating.